Does your new business setup makes you feel like you’re BLEEDING money? Let’s not even mention that savings or startup money you planned to last for 6 months is almost gone and it’s only month 2? If this sounds like you, Don’t quit, all you need a startup budget. A startup budget will help you stop overspending and ensure that you’re only spending money on things that you absolutely need for your new business. Step one of this process is to set a total budget number. 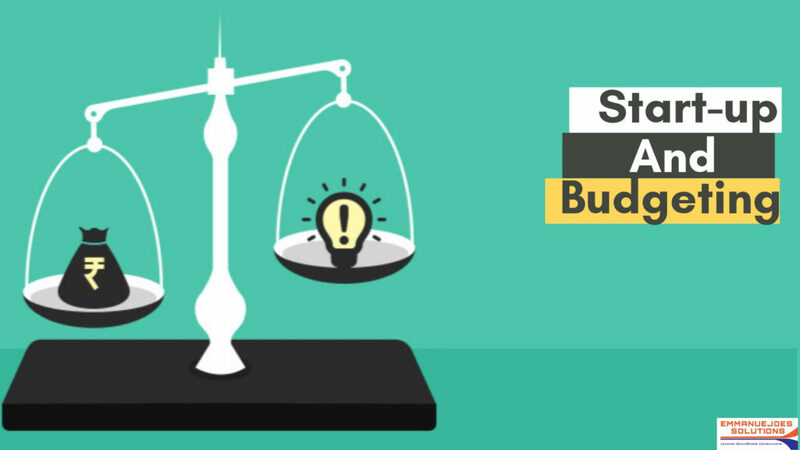 A startup budget is separate from your regular business budget. Your startup budget is focused on the spending that you have to do in order to start your business. When we talk about determining your total budget number, we’re not talking about your monthly expenses for your business. We’re talking about how much money you’re willing to allocate toward starting your business. There are always things you have to invest in to start your business. It may be as simple as a domain name, but that I would consider as part of your startup budget. The reason we decide your total budget number FIRST is to keep your spending from going out of control. If you have a clear boundary to start off with, it’s a lot easier to say no to expenses that don’t fit into your budget. If you don’t have a clear view of what you’re willing to spend, it’s harder for you to say no to spending. Ask yourself: How much are you willing to spend to start your business? Asking yourself this question ensures that you don’t get caught up in Shiny New Thing. This question helps you discern what you can and can’t afford. When you have a number to use as your guideline, you’ll be less likely to purchase things that are outside of your budget. When choosing your startup budget number, don’t pick a maxed out number. People tend to choose the highest that they think they’re able to do. Don’t pick the number that is going to stretch you beyond having a good quality of life. It’s rare that people stay under budget. They almost always go over. There will be something that’ll be over budget that you’re going to justify buying it. That’s how we are with money. Which is why you shouldn’t choose your most maxed out number. You finished your budget number, and now it’s time to categorize the things you plan to spend money on as essential or non-essential. Every single expense on that list will have one of these three categories assigned to it. The essentials are things that you absolutely need to start and operate your business. If you plan on registering an LLC, an essential expense is going to be the filing fees. You’re mandated by law to pay these fees, so that’s an essential expense. Everyone’s list of essential expenses will be different. For example, a photographer is going to need a camera. A graphic designer is going to need an Adobe subscription. These expenses are the things you must have in order to operate your business. Then we have the non-essentials . These are the things you don’t need right now. You can think about them later on, such as 3 to 6 months down the road as you scale your business. Don’t stress yourself out with these expenses while you’re starting out. There is no right or wrong way to categorize your expenses. It’s just important that you know what you’re going to need to pay for right now and then later on. This will help you budget accordingly. Now take a look at your essential items and assign spending gaps. This is where you do the actual work of looking at how much money you have to spend. You’ll quickly learn if you’re giving a realistic stab at how much your expenses are going to cost. In some cases, you’ll have a concrete number to spend, like if you’re purchasing software. In other cases, you’ll need to do some research to get an estimate of your costs. After you’ve assigned spending caps to essential items, move on to the non-essential items. If you’re using a spreadsheet, you will fill in the slots, you’ll be able to see the numbers adding up. From there, it’ll be easier for you to eliminate the non-essentials at this point. There’s another thing and that’s its how to track your actual numbers and update your budget. When you have a budget, you have to refer to it. When you make spending decisions, look at your budget. It’ll help you figure out if you’re overspending or under spending. Every time you spend money, check your budget FIRST. Then, plug in the actual expense. If that expense is less than you anticipated, then reallocate the extra money elsewhere. If it’s more, you’ll need to reallocate money from another line of item. Now you’re going to finesse your numbers as needed. Finessing your numbers means you’ll have to make hard decisions about your spending. Comprises will have to be made. This is the hardest part emotionally because you’re going to have to give some things up. If you DO need to adjust your budget during this stage, lower your spending on some items or get creative with how you can save money. You may also need to cut out some line items if you can’t afford them. Seeing all the numbers right in front of you will allow you to get more realistic about your budget. Keep paying attention, my friend, because we’re not done yet! Once you’ve finalized your startup budget, you don’t just peace out and never look at your budget again! There you have it! Those are the 5 things that will help you create and manage your startup budget for your brand new business.